Figure 2. Aerobic capacity across 16 months for men and women in the exercise and control groups. Mean values without a superscript letter or with the same superscript letter are not different within the exercise and control groups. [UNK]O2max indicates maximum oxygen consumption. Asterisk indicates a significant difference between groups. National Center for Health Statistics,Centers for Disease Control and Prevention, Prevalence of overweight and obesity among adults: United States, 1999-2000. Available at: http://www.cdc.gov/nchs/products/pubs/pubd/hestats/obese/obse99.htm. Accessed January 7, 2002. Background In light of the current obesity epidemic, treatment models are needed that can prevent weight gain or provide weight loss. We examined the long-term effects of a supervised program of moderate-intensity exercise on body weight and composition in previously sedentary, overweight and moderately obese men and women. We hypothesized that a 16-month program of verified exercise would prevent weight gain or provide weight loss in the exercise group compared with controls. Methods This was a randomized controlled efficacy trial. Participants were recruited from 2 midwestern universities and their surrounding communities. One hundred thirty-one participants were randomized to exercise or control groups, and 74 completed the intervention and all laboratory testing. Exercise was supervised, and the level of energy expenditure of exercise was measured. Controls remained sedentary. All participants maintained ad libitum diets. Results Exercise prevented weight gain in women and produced weight loss in men. Men in the exercise group had significant mean ± SD decreases in weight (5.2 ± 4.7 kg), body mass index (calculated as weight in kilograms divided by the square of height in meters) (1.6 ± 1.4), and fat mass (4.9 ± 4.4 kg) compared with controls. Women in the exercise group maintained baseline weight, body mass index, and fat mass, and controls showed significant mean ± SD increases in body mass index (1.1 ± 2.0), weight (2.9 ± 5.5 kg), and fat mass (2.1 ± 4.8 kg) at 16 months. No significant changes occurred in fat-free mass in either men or women; however, both had significantly reduced visceral fat. Conclusions Moderate-intensity exercise sustained for 16 months is effective for weight management in young adults. REDUCTION IN the prevalence of obesity was one of the major aims of Healthy People 2000, although it is now apparent that this goal was not achieved. In 1980, data from the second National Health and Nutrition Examination Survey showed that 47% of adults were overweight or obese, and this figure increased dramatically in data from the third National Health and Nutrition Examination Survey (1999) to 61% of adults.1,2 Recently, the Surgeon General indicated that obesity ranks next to cigarette smoking as a cause of preventable disease and death, with a health care cost of approximately $117 billion per year.3 Obesity contributes to heart disease, hypertension, diabetes mellitus, and some cancers.4-6 The social and economic consequences of obesity may be as great as the health consequences. Lower levels of education, marriage, and income have recently been associated with obesity in adolescents and young adults, presumably because of discrimination.7 Treatment of obesity is notoriously difficult, and most individuals who lose weight eventually regain it.8 Thus, methods to prevent overweight and obesity are imperative. Prevention of obesity relies on establishing and maintaining energy balance through equilibrium of energy intake and energy expenditure. In an environment where energy-dense, palatable foods are abundant, it is difficult for many individuals to maintain energy balance through diet alone. Regular exercise may be useful for increasing energy expenditure or restoring and maintaining energy balance, thereby providing weight loss or preventing weight gain. However, few well-controlled, long-term studies are available to determine whether regular exercise is indeed an effective weight management strategy. Thus, the purpose of this investigation is to determine the efficacy of a known quantity of exercise to prevent weight gain or to facilitate weight loss in previously sedentary, overweight and moderately obese adults. This project was initiated at the University of Nebraska–Kearney in 1996 and was transferred to the University of Kansas in 1997 when the investigators relocated (J.E.D. and D.J.J.). Participants were recruited from the University of Nebraska–Kearney, the University of Kansas, and their respective surrounding communities and were compensated for their participation in this project. 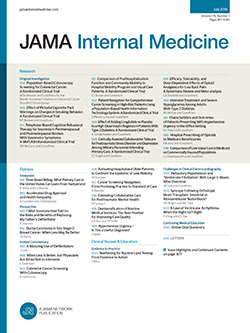 A total of 131 overweight or moderately obese individuals were randomized to either an exercise intervention or a control condition for 16 months; 74 participants completed the exercise or control condition and all laboratory testing, except for doubly labeled water (DLW) for the determination of 24-hour energy expenditure. A nationwide shortage of the DLW isotopes occurred during the study, and we therefore randomized 44 participants to receive DLW based on its availability. Participants were aged 17 to 35 years and were overweight or moderately obese, with a body mass index (BMI) (calculated as weight in kilograms divided by the square of height in meters) of 25.0 to 34.9.9 In addition, all participants met or exceeded the 85th percentile for triceps skinfold of the second National Health and Nutrition Examination Survey population. The skinfold measurement helped eliminate individuals who were short and muscular rather than overweight. Participants were sedentary and did not exceed 500 calories of physical activity per week, as measured by a physical activity recall questionnaire.10 Participants who had a history of chronic disease (ie, diabetes mellitus, heart disease, etc), elevated blood pressure (>140/90 mm Hg), elevated lipid levels (cholesterol >260 mg/dL [>6.72 mmol/L] and triglycerides >500 mg/dL [>5.65 mmol/L]), or elevated fasting glucose levels (>140 mg/dL [>7.8 mmol/L]) were excluded. In addition, participants were excluded if they smoked, took medications that would affect physical performance (ie, β-adrenergic blocking agents) or metabolism (ie, thyroid agents or corticosteroids), or if they lacked the ability to perform laboratory tests or to participate in moderate-intensity exercise. Participants were randomized at approximately a 2:1 ratio (65% to the exercise group and 35% to the control group) under the supervision of a project investigator (D.J.J.). This assignment ratio was in anticipation of greater attrition in the exercise group than in the control group. Neither the investigators nor the participants were masked to the assignment of participants to the exercise and control groups as this was considered impractical for a long-term investigation with an obvious intervention component (ie, exercise). All participants gave informed consent before participating in any aspect of the investigation. Approval for the study was obtained from the human subjects committees at the University of Nebraska–Kearney and the University of Kansas. Exercise consisted primarily of walking on motor-driven treadmills; however, alternate activities such as stationary biking and walking on stationary elliptical trainers were allowed for 20% of the total exercise sessions (1 of 5 days). The participant's exercise prescription was calculated from a maximal treadmill test at baseline and was updated by a maximal treadmill test at 4-month intervals. Exercise duration progressed from 20 minutes at baseline to 45 minutes at 6 months, and the intensity of exercise progressed from 60% of the heart rate reserve at baseline to 75% at 6 months. This level of exercise corresponded to 55% to 70% of maximum oxygen consumption and was maintained for the remainder of the study. The targeted minimum energy equivalent of exercise was approximately 400 cal per session (approximately 2000 cal/wk), and this was gradually achieved during the first 6 months and then maintained for the remainder of the study. This level of energy expenditure of exercise is in agreement with the recommendations of the American College of Sports Medicine11 for exercise programs designed for weight reduction and with the recent position statement12 regarding appropriate strategies for weight loss and prevention of weight regain for adults. This study was designed to evaluate the effects of a verified amount of exercise; therefore, all exercise was performed under the direct supervision of research personnel. Participants reported to a research assistant before the initiation of any exercise and remained under the supervision of the research assistant throughout the exercise session. The research assistant was responsible for verification of each exercise session. Because exercise intensity cannot be ascertained by observation, target heart rates were verified during each exercise session by using a heart rate monitor (Accurex Plus; Polar Electro Inc, Woodbury, NY). To document the level of energy expenditure achieved during the exercise sessions, energy expenditure was measured during at least 2 exercise sessions by indirect calorimetry at approximately 4-month intervals. In addition to measuring the energy expenditure of exercise, maximal treadmill testing was completed at baseline and subsequently approximately every 4 months to allow modification of the exercise prescription as changes in aerobic capacity occurred. Controls underwent identical testing as the exercise group except for testing related to the 16-month exercise program. They were instructed to maintain their usual physical activity and dietary intake patterns throughout the study. Body weight was measured at baseline and at 4, 9, 12, and 16 months between 7 AM and 9 AM using a digital scale accurate to ±0.1 kg. Participants were weighed before breakfast and after attempting to void, and they wore a standardized hospital gown at the time of weighing. Visceral adipose tissue was determined using computed tomography (CT) at baseline and 16 months. The CT examinations were performed using a CTi scanner (General Electric, Waukashau, Wis) at the University of Colorado Hospital, Denver. After a scout image, the L4-5 vertebral space was localized, and a single axial CT image was acquired through the center of the disk space. Technique factors were 140 kV (peak), 240 to 340 milliampere seconds, and 10-mm slice thickness. Digital images were electronically transferred to a computer workstation (SPARC I; Sun Microsystems, Sunnyvale, Calif) in the CT Scan Reading Center at the University of Colorado Hospital for analysis. Total fat area was measured in all axial images using the CT intensity range, determined individually for each participant, from image-generated histograms. The visceral and subcutaneous adipose tissue areas were differentiated by a line through the abdominal musculature. Subcutaneous and visceral adipose tissue areas for each slice were calculated by multiplying the number of pixels of each region lying within the CT intensity range by the area of a pixel. Analysis programs were developed by the CT Scan Reading Center (RSI Inc, Boulder, Colo). Total energy expenditure from DLW was measured over a 12-day period at baseline and at 16 months. The DLW was administered between 8 AM and 9 AM after an overnight fast. Two baseline urine specimens were collected from each participant before oral dosing with a mixed solution of DLW. The isotope dose given to each participant contained approximately 0.10 g/kg of body weight of deuterium oxide and 0.15 g/kg of oxygen 18. The total sample period for analysis was 12 days, and after baseline sampling, additional samples were collected on days 4, 8, and 12. All urine samples and samples of the doses given to participants were stored at −20°C and subsequently were analyzed in the Mass Spectrometry Core Laboratory of the Colorado Clinical Nutrition Research Unit at the University of Colorado Health Sciences Center. The computer program DLW16 was used to calculate rates of carbon dioxide production and energy expenditure from the multipoint bivariate regression model of Jones et al.17 Because of nationwide shortages of isotopes that occurred during this trial, participants were randomized to receive isotope or placebo. A total of 17 men and 27 women who completed the study received baseline and 16-month measures of 24-hour energy expenditure by DLW. Diet intake was ad libitum and was measured for energy and macronutrient composition at baseline and on 5 other occasions across the 16-month study by weigh and measure techniques.18 Each measurement consisted of a 2-week period during which the participants ate ad libitum in the university cafeteria. Food consumption outside the cafeteria (ie, snacks) was measured by multiple pass 24-hour recall procedures that used food models and standardized, neutral probing questions.19 Results from the weigh and measure approach and from diet recalls were entered into a computerized nutrition database for analysis (Food Processor IV version 7.1; ESHA Research, Salem, Ore). We20 previously showed this technique to be accurate for total energy intake compared with DLW. This was an efficacy study; therefore, primary analyses were completed for the 74 participants who completed the entire 16-month study and all associated laboratory testing. Sample size was determined to compare body weight between the exercise and control groups using a mixed linear model. Assuming an autoregressive correlation of 0.4 to 0.6, it was determined that 12 individuals per group would be necessary to detect a 4- to 7-kg difference in body weight with an SD of 5 kg, 80% power, and a type I error rate of 5%.21 Analyses for 24-hour energy expenditure by DLW were completed on a subsample of 44 participants. Descriptive statistics were calculated at each assessment period for all dependent measures. All analyses were conducted separately for men and women. Analyses were performed for the differences between the exercise and control groups at 16 months for body weight, body composition, visceral fat, 24-hour energy expenditure, and diet intake using the mixed-model procedure, with baseline measures as covariates. Least squares means tests were used to analyze effects across time. Changes in the energy expenditure of exercise were analyzed using a repeated-measures analysis of variance for men and women.22 All analyses were performed using statistical software (PC-SAS version 8.2; SAS Institute Inc, Cary, NC). Data are given as mean ± SD. One hundred thirty-one individuals were initially randomized to the exercise or the control group, and 74 individuals completed the entire study (Figure 1). The baseline characteristics of the 74 participants who completed the study are given in Table 1. No baseline differences existed between participants who completed the study and those who did not for initial age, body weight, BMI, body composition, or aerobic capacity. Reasons for attrition generally included lack of time, unwillingness to take meals in the university cafeteria, and conflict with work. In addition, participants were released from the study if adherence fell below 85% of the scheduled exercise sessions. No major adverse events occurred during this study for either the exercise or the control group. Participants who completed the study included 1 Native American, 5 Asians, 6 African Americans, 1 Hispanic, and 61 whites. Forty-four participants (26 from the exercise group and 18 from the control group) completed analysis for DLW. Adherence to the exercise protocol was excellent, with 90.3% and 89.6% of all sessions completed for men and women, respectively. The average exercise heart rates across the 16-month study were 154 ± 11 bpm for men and 156 ± 9 bpm for women. Men achieved a significantly greater level of energy expenditure owing to their greater body mass even though the exercise was completed at the same relative intensity and duration as by women. At 16 months, men averaged 667.7 ± 116.4 kcal per exercise session and women averaged 438.9 ± 88 kcal. Energy expenditure, expressed per kilogram of body weight per exercise session, diminished the differences between men and women, but the differences were still significant, with men averaging 6.7 ± 0.8 kcal/kg and women averaging 5.4 ± 1.1 kcal/kg (P<.001). The exercise program resulted in maximum oxygen consumption increases of 20% for men and 16% for women, which indicates that participants exercised in accordance with the protocol. Likewise, the lack of change in maximum oxygen consumption for controls indicates that they did not adopt a regular exercise program during the 16-month study (Figure 2). No statistically significant differences for either men or women were found at baseline between the exercise and control groups for body weight, BMI, percentage of body fat, fat mass, fat-free mass, or visceral fat. Among men, those in the exercise group had significant decreases at 16 months in body weight (5.2 ± 4.7), BMI (1.6 ± 1.4), and fat mass (4.9 ± 4.4 kg) compared with controls. There were no significant differences between the exercise and control groups for fat-free mass. Exercising men had significant decreases from baseline of 22.5 ± 21.4 cm2 for visceral fat, 51.4 ± 54.4 cm2 for subcutaneous fat, and 73.9 ± 68.9 cm2 for total fat; however, there were no between-group differences (Table 2). Women who exercised remained weight stable during the 16-month study, and controls gained a significant amount of weight. Women who exercised gained 0.6 ± 3.8 kg, and controls gained 2.9 ± 5.5 kg. Likewise, BMI for exercising women remained stable, with a nonsignificant increase of 0.1 ± 1.3, compared with controls, in whom BMI significantly increased by 1.1 ± 2.0. A small decrease in fat mass of 0.3 ± 2.7 kg was shown for women who exercised, and a significant increase of 2.1 ± 4.8 kg was shown for controls. At 16 months, exercising women had significantly lower body weight, BMI, and fat mass compared with controls. Both the exercise and control groups had small, nonsignificant increases in fat-free mass of 0.8 ± 1.8 kg and 0.7 ± 1.7 kg, respectively (Table 2). Women who exercised showed nonsignificant changes in subcutaneous, visceral, and total abdominal fat. Controls had a nonsignificant increase in visceral fat; however, at 16 months controls had significant increases compared with the exercise group of 48.6 ± 56.2 cm2 for subcutaneous fat and 51.6 ± 63.2 cm2 for total fat (Table 2). We estimated energy balance at baseline and at the end of the 16-month study in a subsample of 44 participants by using measured energy intake and 24-hour energy expenditure from DLW methods (Table 3). As mentioned herein, we randomly selected participants to receive DLW assessments owing to nationwide shortages that occurred subsequent to initiation of the study, which made it impossible to obtain these data on the entire study group. No statistically significant differences were found between or within groups across the 16-month intervention in total energy intake or protein, carbohydrate, and fat for men or women at baseline or any subsequent measurement period. This finding was obtained when energy intake was expressed as kilocalories per day or as calories per kilogram of body weight. Changes at 16 months in 24-hour energy expenditure from DLW indicated that exercising men increased by 371 ± 646 kcal compared with a decrease of 34 ± 999 kcal for controls, and exercising women increased by 209 ± 555 kcal compared with 141 ± 431 kcal for controls. These changes in energy balance were in the expected direction, with men and women who exercised having greater negative energy balances than controls; however, the differences were not statistically significant. For those in the exercise group, the changes in 24-hour energy expenditure were significantly related to the energy expenditure of exercise (r = 0.63; P<.001). Exercise had a significant effect on body weight over 16 months in previously sedentary, overweight and moderately obese young adults, independent of any dietary changes. However, the effects of exercise on body weight, body composition, and energy balance were different for men and women. Although exercise without diet change did not result in weight loss in women, it prevented the substantial weight gain seen in control women. By the end of the study, women who exercised were expending approximately 2200 kcal/wk in exercise and were in negative energy balance of approximately 200 kcal/d. Exercising women avoided the nearly 3-kg weight gain seen in control women. At the end of the study, exercising women had 3% less total body fat than controls. Furthermore, visceral fat was reduced by 5% in exercising women, whereas it increased by 5% in controls. The exercise program for women was also associated with better weight management and subsequent effects on health and risk of chronic disease than was seen in the control group. Although it is common to expect weight loss in response to exercise, our group,30,31 and others,32 showed no significant decrease in weight for women who participated in exercise without energy restriction. Regardless, it is critical to emphasize that in the present study, controls gained a significant amount of weight (approximately 4%) from baseline. Thus, the women's exercise group maintained their weight compared with sedentary controls. Reducing the trajectory of weight gain during periods when weight gain is likely to occur may be beneficial in the long term to prevent or diminish eventual attainment of overweight and obesity. It is important to know whether the difference in the effects of exercise between men and women were due to the differences in the amount of energy expenditure of exercise that was achieved across the 16-month study. The discrepancy in the energy expenditure of exercise between men and women may be due to the differences in body weight since exercise intensity was the same for both sexes as determined by the protocol and heart rates were essentially the same (154 ± 11 bpm in men and 156 ± 9 bpm in women). Significant differences between men and women remained when the energy expenditure of exercise was expressed as calories per kilogram of body weight. Had the women reached the target of 400 kcal per exercise session earlier in the protocol as shown by the men, they would have had about 5 additional months at this level of energy expenditure. Whether this additional amount of energy expenditure would have precipitated weight loss cannot be assumed. The average energy expenditure of exercise for women of 439 ± 88 kcal per session was maintained for 10 months and did not result in weight loss for the exercise group. Ten months of 400 kcal or more 5 d/wk for a total exceeding 2000 kcal/wk is a very substantial effort. The suggestion that women might need to obtain an even greater amount of exercise to promote weight loss is not likely to be well received or executed and may in fact be a barrier, discouraging women from contemplating an exercise program. Alternatively, it may be useful to identify the characteristics of the women who did lose weight to better target individuals who are most likely to benefit from exercise. Data from this study yielded information regarding the effects of exercise on the primary prevention of obesity in young adults. In women, it seems that it may require less exercise for the primary prevention of weight gain than to prevent weight regain in previously obese individuals. Data from the National Weight Control Registry,33 Jakicic et al,34 and Schoeller et al35 indicate that prevention of weight regain is associated with 280 to 450 minutes of moderate intensity exercise per week compared with 225 minutes per week used in the present study. In men, 225 minutes of exercise per week not only prevented weight gain but also provided significant weight loss. Thus, 225 minutes per week of moderate-intensity exercise may be a guideline for the amount of exercise needed for the prevention of weight gain in young women and the reduction of weight in young men. Attrition in this study was 44% across 16 months using young adults who were compensated for their time and were randomly assigned to either the exercise or the control group. This level of attrition is high and reflects the rigor and duration of the study. Attrition may escalate considerably in trials longer than 1 year compared with shorter trials. For example, attrition was 15% at 8 months in overweight women who completed 30 minutes of moderate-intensity, intermittent exercise 5 d/wk30 and 7% in overweight women who completed 24 weeks of moderate-intensity exercise that was prescribed in either short or long bouts.36 In a recent outpatient study31 of previously sedentary, moderately overweight adults, participants randomized to either intermittent or continuous exercise had attrition rates of 16% and 38%, respectively, at 24 weeks; however, attrition increased to 58% for both groups at 18 months. The present study was unusually demanding on the participants as it required all exercise to be completed in a laboratory under supervision of the research staff and had a time-consuming laboratory test protocol, including tests requiring physical effort such as the maximal treadmill test. Other measures such as the quantification of energy intake required that participants report to the cafeteria for 14 consecutive days. Likewise, participants randomized to receive DLW had to report to the Energy Balance Laboratory on multiple mornings across a 12-day period to provide a urine sample. In addition, since this was an efficacy study, noncompliant participants and those without complete laboratory data were terminated from the investigation. These conditions are remarkably different than the usual outpatient protocols that use self-reported exercise and include individuals who may not be compliant with the intervention but report for follow-up testing. Application of the results from the present study to the general population will require considerable help from behavioral scientists to encourage adoption and adherence to a long-term exercise program that becomes part of an individual's lifestyle and can be maintained indefinitely. The benefits of exercise for weight control may be substantial, and efforts to translate research findings into programs that are accepted by a large segment of the population are needed. This was the first long-term, supervised, randomized, controlled investigation of the effects of exercise on body weight and composition using an energy balance approach. Strengths of the investigation include the supervision and verification of exercise and levels of energy expenditure, weigh and measure techniques that were used for assessment of energy intake, DLW that was used for 24-hour energy expenditure, and visceral fat that was assessed by CT. However, the sample of participants was relatively young and healthy, and attrition rates were relatively high. Therefore, we cannot assume that the results will generalize to other populations. At this time, we also do not know if the prevention of weight gain (women) or the weight loss (men) shown in this sample will persist or if these participants will follow the usual pattern of weight gain over time. In summary, 16 months of supervised, moderate-intensity exercise (45 min/d, 5 d/wk) had major effects on weight management in overweight and moderately obese young adults. We have few, if any, proven strategies to combat the obesity epidemic. These results establish exercise as an effective weight management tool in young adults. Our challenge now is to develop means of achieving sustained increases in exercise (or physical activity) in this population. Corresponding author and reprints: Joseph E. Donnelly, EdD, Energy Balance Laboratory, Schiefelbusch Life Span Institute, University of Kansas, Lawrence, KS 66045 (e-mail: jdonnelly@ku.edu). Accepted for publication September 4, 2002. This study was supported by grant NIHDK49181 from the National Institute of Diabetes and Digestive and Kidney Diseases, Bethesda, Md, and by grant MO1 RR0051 from the Clinical Research Center of the University of Colorado Health Sciences Center.